The expected need for additional primary care physicians is going to be 52,000 by the end of 2025. We are witnessing prolonged patient wait times due to the steadily increasing national provider shortage. Value based healthcare is still to go a long way with healthcare providers primary location being in metropolitan areas. Increasing healthcare costs with patients spread across the country and ability to provide better real time consultations is going to be important. Get paid for off-hour calls by using video conference platform through an iPhone, iPad or Laptop to create a reimbursable claim. Patients see their doctor and immediately schedule follow-up appointments in seconds. Provider can submit his own claim or our specialized team processes the insurance claim on the provider’s behalf and transfers the reimbursement to the provider’s bank account. The challenges ahead for the DME world! In today’s climate, the demand for DME supplies has seen an exponential growth. With competitive bidding, reimbursement cuts, aggressive nature of post and prepayment reviews, Medicare is only going to pay a limited number of suppliers. DME suppliers cannot simply rely on the old fee for service model of the Medicare anymore. The old way of doing things will not exist anymore! There has to better processes that combine with experienced resources understanding the immediate mandates with medical billing. A next-gen healthcare services company, Sunknowledge Services Inc, specializes in end to end medical billing services to leading DME providers and healthcare specialties across the country. We are the only medical billing and Collections Company that provide our clients flexibility with choice of any of our services on an ala carte basis. Our flat rate of $7 per hour is without any hidden costs essentially means that you don’t have to pay extra for increased reimbursements. Unlike many of our competitors we do not charge a standard rate of 8% to 10% on the collections. Our task specific activities with eligibility verification, prior authorization, payment posting, denial management, accounts receivable management, as well as end-to-end billing support makes it easy for our clients to choose any or all from us! With Sunknowledge, dedicated accounts representatives are available at your disposal for interaction on a one on one basis. Moreover, reporting standards are customized, meeting your daily/weekly/monthly requirements according to individual workflow patterns. At no extra cost incurred, Sunknowledge Services Inc. provides bandwidth with access to Account Managers for any information that you need on a regular basis. The managers are responsible to share all information that you need pertaining to your account. ♣ Ensure over 90% collections (even from ageing A/R)! ♣ We do Prior authorization services at just $5 per auth with 99% accuracy. Free telemedicine platform for improved patient inflow alongside 100% RCM assistance. We are the only company that offers powerful medical billing services with an integrated telemedicine interface transforming your overall collections. 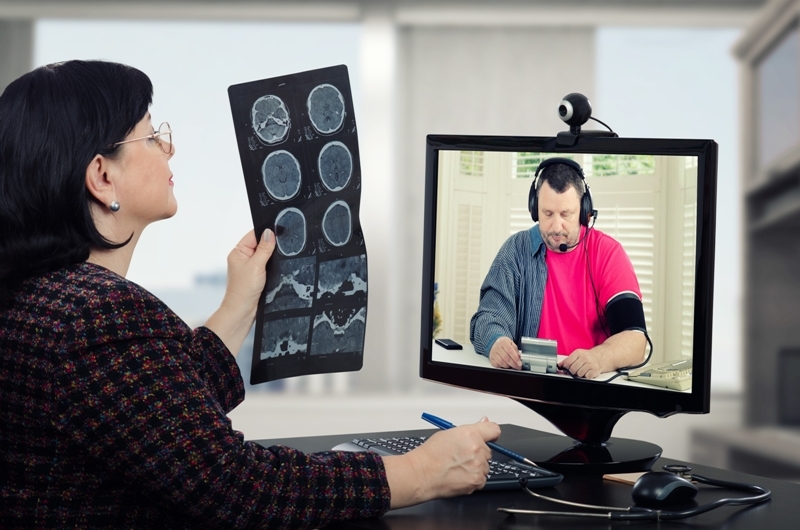 Our telehealth, remote patient monitoring devices are enhance provider accountability, providing complete EMR/platform compatibility standards. We simplify your healthcare revenue cycle management priorities!